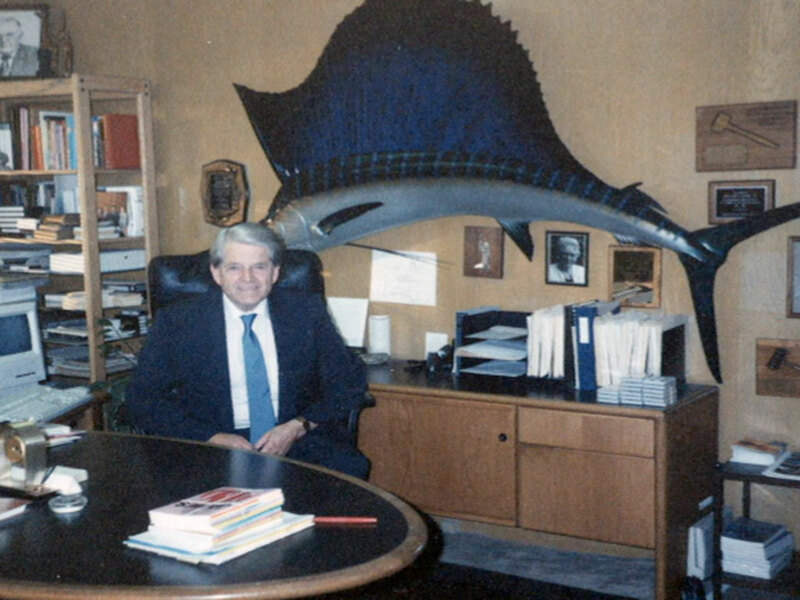 Who could forget the sailfish in his office? 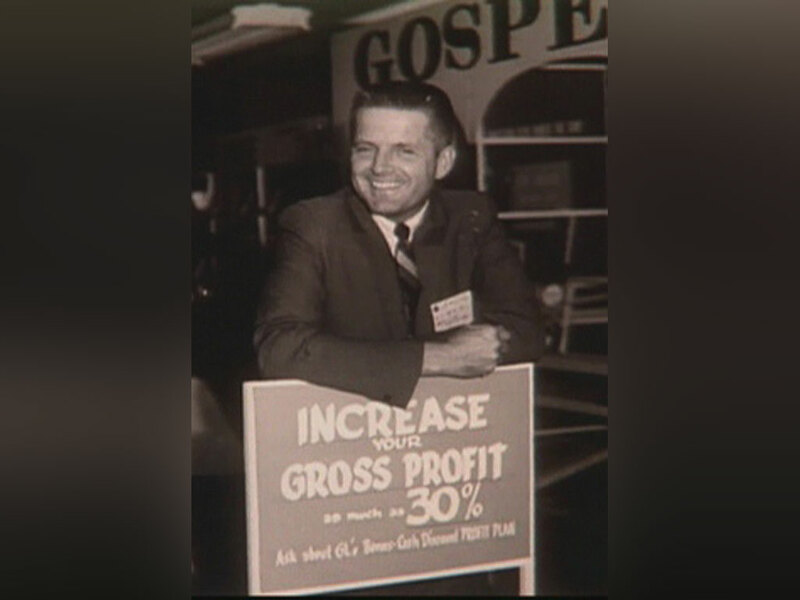 In 1948 Bill Greig, Jr. joined Gospel Light as VP of Sales and Marketing. 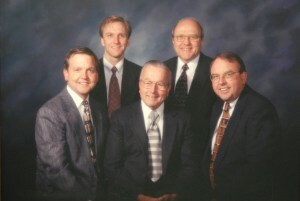 Bob Kregel (center), Harold (upper right), Ken (lower right), Jim (lower left) and Jerry (upper left) circa 1994. When I was 36 years old my father announced that he was retiring from publishing and appointed me to his executive position. In preparation for this transition, one of Rich’s mandates was to insure that I attended each and every ECPA leadership seminar that was offered. 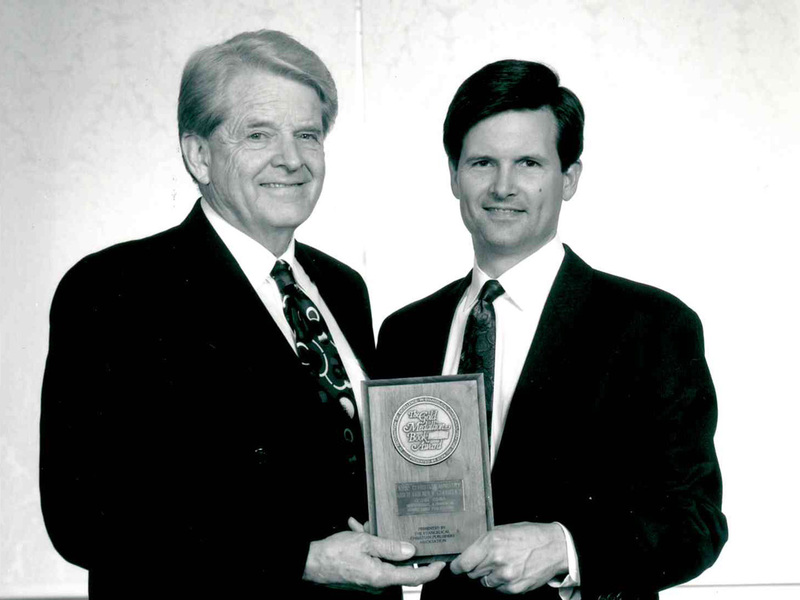 Rich wanted to provide for me what ECPA had provided for him – and for his father and our company founder, Herman Baker. For all three of us, ECPA is our connection to a talented and supportive community of leaders in Christian book publishing. The following November we traveled together to Fort Lauderdale, and I awkwardly tagged along behind Rich as he greeted his many companions. Whatever anxiety I brought to the trip was soon lifted; the leaders and staff of ECPA and the attending publishers were immediately encouraging and generous to me. For both Rich and me, many of those initial friendships endure to the present day. I grew up in a publishing environment. When I was little, my dad, Kenneth Taylor, was the director of Moody Press and Moody Literature Mission. He didn’t talk a lot about his work, but once a year he would take some of us kids into the office with him. And over one spring break, one of my sisters and I traveled through the South with our dad and with Peter Gunther. On behalf of MLM they were delivering Christian books to rural schools. Then my parents took the bold move of starting their own company—Tyndale House Publishers—when I was 11. My siblings and I began packing books and typing up invoices. I worked after school every day all the way through junior and high school. When I was a senior in high school, my dad handed me a manuscript and suggested that I try my hand at editing it. I was given no training, but it was in my blood. I think I did a reasonably good job on that book, but the author—radio pastor Joel Nederhood—would have been surprised to know that his editor was a high school student. My dad is best known as the creator of The Living Bible (1971). I believe that paraphrase (which has sold more than 40 million copies) paved the way for the many, many English translations that have come out since 1971. With the venerable King James Version at one end of the spectrum and The Living Bible at the other end, the Evangelical church was ready to accept the NIV, which is moderately formal in style and relatively easy to read and understand. It first came out in 1978 and quickly became the bestselling English translation. But other Dad had lofty goals from the very beginning. In addition to his life’s work of publishing, he wanted to create easy-to-read translations of the Bible in the 100 largest languages of the world. And from the outset he donated all royalties from The Living Bible (and now from the New Living Translation) to Tyndale House Foundation. The funds are then used to support Christian work throughout the world. My first full-time job at Tyndale House was as executive director of Tyndale House Foundation. Over the years I began to get involved in the management discussions in the publishing company, and I found that I enjoyed that part of the work. And I was able to help my dad implement his good ideas, and often I tried to dissuade him from his impractical ideas. Tyndale House celebrated its 50th anniversary last year, and I’m glad I’ve had a chance to carry on the legacy that my parents started all those years ago. And my son Jeremy works as an editor and serves on the Foundation board. The company is still privately owned, but not by our family. 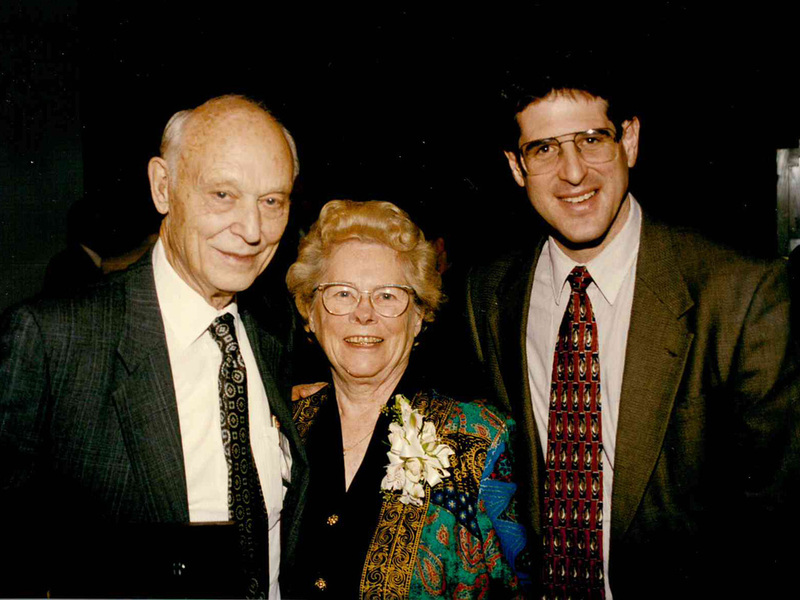 My parents gave the company to the Foundation in 2001. We’re glad to be part of ECPA. I served on the board for many years, and now my colleague Jeff Johnson is on the board. Through ECPA, we try to give helpful perspectives to other publishers. May God give us all wisdom as we move into the uncertain future. 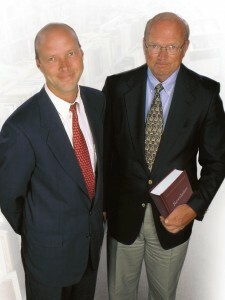 Bill Greig Jr. and Bill Greig III in 2005. Those of us who are blessed to be in Christian publishing are standing on the shoulders of men and women who were visionary trailblazers committed to the proclamation of the truth found in the message of Jesus Christ. These industry giants have influenced the world through their courage and commitment to Christian publishing. The visionary giant that I was blessed to be mentored by and work alongside was my father, William T. Greig Jr. To this day as I meet authors, missionaries, church leaders and fellow Christians, I am overwhelmed by their testimony of love and admiration of what my father inspired in their lives. 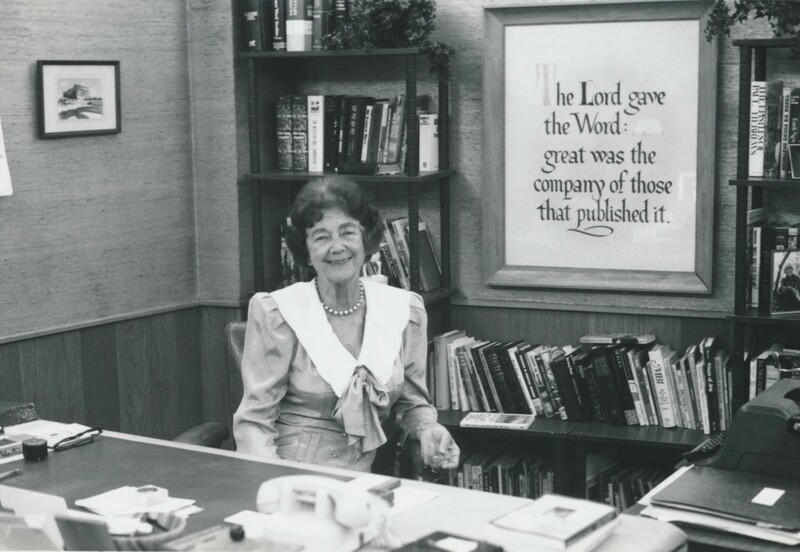 In 1974, my father and several other Christian publishing giants cofounded ECPA. At that time, I was a high school student working part-time at the Lighthouse Christian store located in the Gospel Light building in Glendale, California. As I would present life changing Christian books to eager customers, little did I know of the impact these same books were having around the world and what would transpire over the next 40 years of my life. 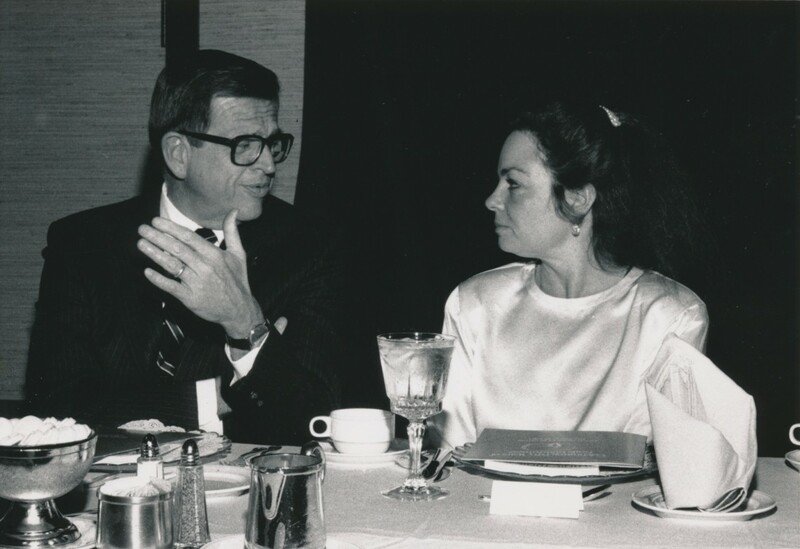 In 1979, my father invited me to join him at an ECPA gathering. As a Bethel College student in St. Paul Minnesota, I was thrilled to board a flight to join my father in a much warmer climate. At my first ECPA gathering, I met kind and humble men and women who wrestled with the dual challenges of stewarding their publishing with integrity to the Word of God while also staying relevant to the ever changing culture. What I admire most about my father was his great love and vision for serving the worldwide Body of Christ through Christian publishing. Throughout his 82 years, including 58 years with Gospel Light, he remained flexible, current, globally minded, and humble. He envisioned things the rest of us would not even dare to dream. He cofounded and for several years Chaired not only ECPA, but also the National Sunday School Association, Gospel Literature International (GLINT), and Gospel Light Worldwide. In his final decade on earth, my father was dedicated to the establishment of Christian publishing in Russia, Eastern Europe and North Africa. His multiple trips to Moscow over the years built bridges with our Christian brothers and sisters that continue to bear good fruit to this day. I will forever be grateful for the opportunity to be mentored by and work alongside my father, a man with a deep love and vision for Christian publishing. This year, both the Evangelical Christian Publishers Association and Harvest House Publishers are celebrating their 40th anniversary. Though these are two separate organizations with completely different functions, their roots and growth are certainly tied together in ways that have yielded great fruit for not only my father, but for me personally. 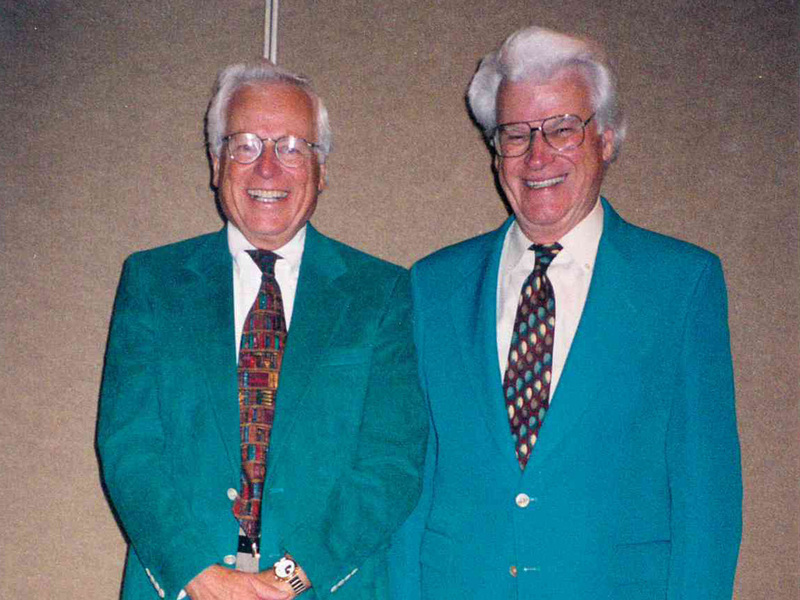 My dad, Bob Hawkins, Sr., was one of the 23 members who initially met together to brainstorm the development of ECPA. With meetings in Glen Eyrie and Denver, the 17 companies present had a strong vision that, together, they could benefit one another in ways that they simply could not in isolation, and that in the process they could enjoy great fellowship as friendly competitors. And that’s exactly what has transpired over the years. As a charter member of ECPA, Harvest House was blessed to be involved with ECPA from those very early fledgling days when growth really meant, well, growth! 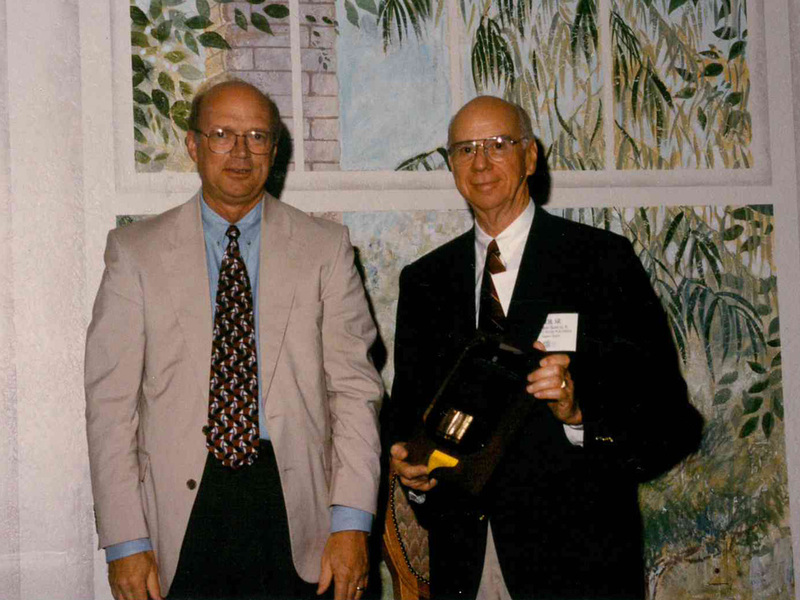 Bob Hawkins Sr. had the privilege of serving on the ECPA board from 1976 to 1979 and again from 1983 to 1987, and was board president in 1985 and 1986. 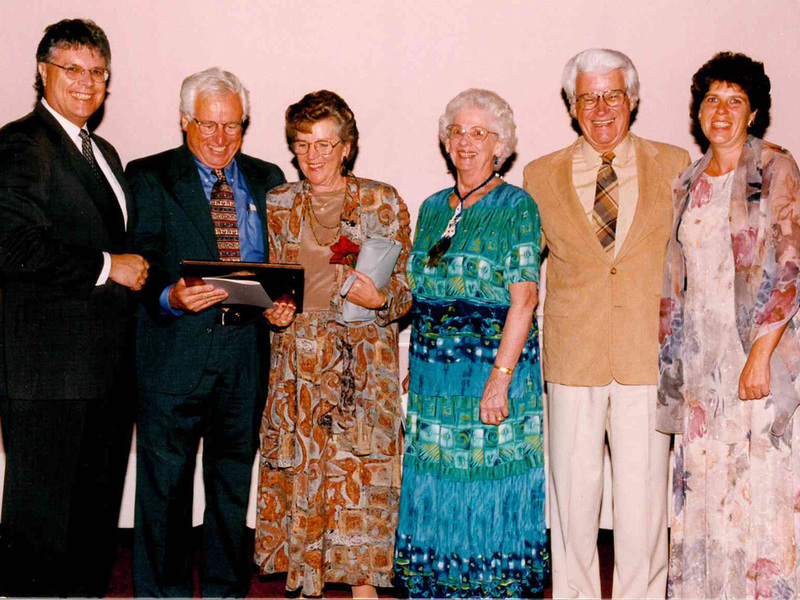 I also enjoyed six great years serving on the board during the 1990’s. 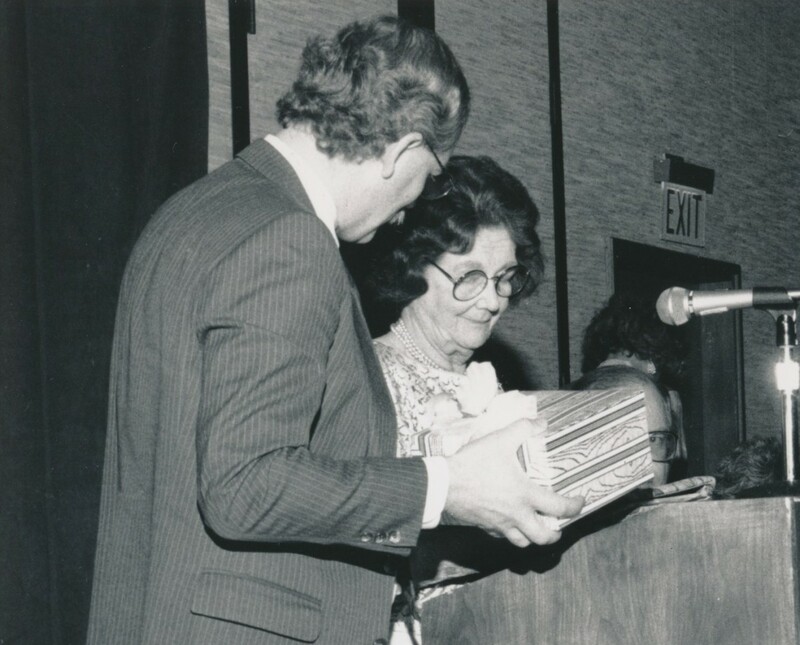 As the Chairman of the Recognition Committee back in 1977, my father helped develop the Gold Medallion Book Awards (now called the Christian Book Awards). Ironically, I have had the privilege of sitting on this same Committee for a very long time. I guess the apple just doesn’t fall too far from the tree. When I began my career at Harvest House 33 years ago, I used to ask my dad how I was going to learn all about the business of the industry. He simply said it would come together for me by osmosis, and by attending ECPA seminars! He was so right. Beginning in 1981, I never missed a semi-annual ECPA Seminar for some 25 years running, and I have not missed many since. Over these years, the business benefits to Harvest House, my dad, and I have truly been wonderful and hard to measure, really. Knowing what to implement, how to do it, and even what to avoid doing has impacted our sales and performance as a company in untold ways. But beyond the wonderful service to our industry and the incredible benefits the Association has given our family business, where the roots grow the deepest, I know, are in the lifelong and special relationships at ECPA that have transcended these last 40 years. My father truly loved to come to ECPA events as most of his very closest friends, and yes, beloved competitors, were there, struggling along with him in professional and personal ways. A listening ear was present for him as an effective, but lonely-at-the-top leader, and ECPA delivered the goods! As for me, I, too, have great memories of the wonderful people of ECPA, from the founders of the Association to so many who have followed in their giant footsteps. Through the decades of my “osmosis” training, I have so enjoyed the privilege of getting to know and learning from many gifted old guard leaders such as Rich Baker, Doug Ross, Gary Johnson, and Bruce Ryskamp, just to name a few. But I have deep appreciation for the business acumen and professional savvy of the younger contemporaries of our industry who have carried on with increasing excellence. ECPA is in good hands moving forward. These 40 years have been special for Harvest House and for ECPA, and we share together in the joy of celebrating four decades of growth in Christian publishing outreach! Congrats ECPA! Crossway exists today as the result of the Lord’s gracious hand of provision – and, first and foremost, we (Lane and Ebeth) want to give all glory to the Lord. But there is a sense in which the Lord has brought us to where we are today through the mentoring contribution of key ECPA founders and leaders. If it were not for the original vision and key relationships – which gave birth to both ECPA and Crossway – it is hard to imagine that Crossway would exist today. 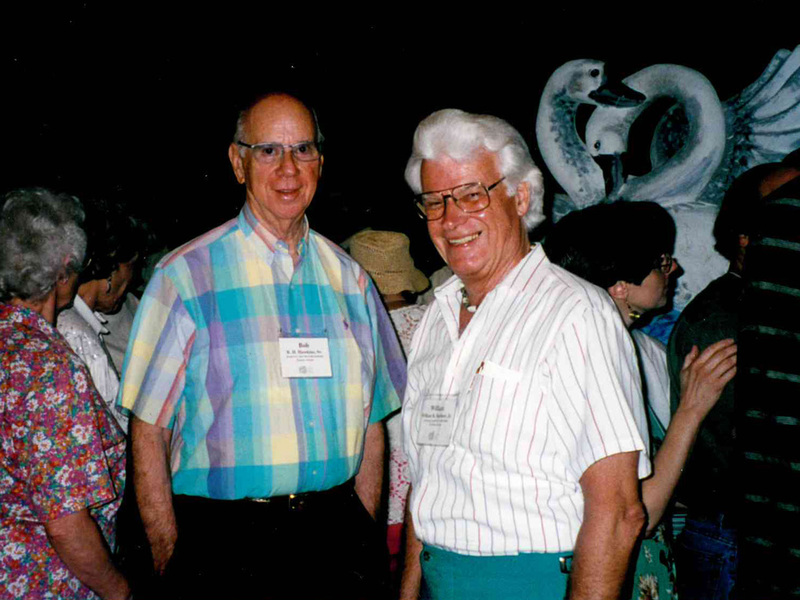 Four ECPA founders in particular – Bob Kregel, Bill Grieg, Jr., Hugh Barbour, and Bob Hawkins, Sr. – graciously provided wisdom and encouragement to us, in the years leading up to the founding of Crossway in 1979, and in the shaping of Crossway in the early years. Each of these men, who were close friends of my mother Muriel Dennis, played a crucial role as founding members of ECPA, along with Muriel as an ECPA founding board member. As we often remind ourselves, it is a miracle of the Lord’s hand that Crossway exists today. 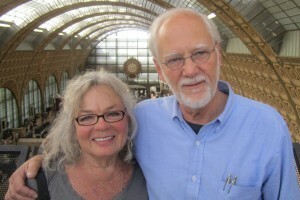 Although Crossway was founded in 1979, the Crossway not-for-profit book- and Bible-publishing imprint grew out of the original Good News Publishers ministry, founded in 1938 – that is, out of a $20 tithe – saved up by Clyde and Muriel Dennis and dedicated to the Lord for the publication of the first gospel tracts 75 years ago. It is remarkable now to reflect on how the Lord has multiplied that first $20 gift – through the distribution of 2 billion pieces of literature worldwide; through tens of millions of Crossway books published, with 800 titles by 350 authors currently in print; and through the 100 million-plus ESV (English Standard Version) Bibles distributed via print and digital media since 2001. Like several other founding members of ECPA, I (Lane) grew up with Christian publishing as an integral part of our family life and everyday conversation. 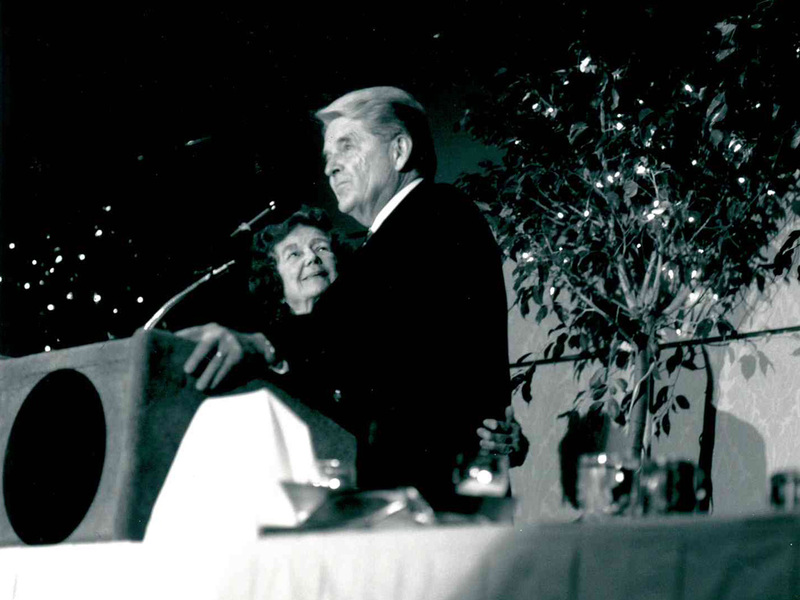 In the 1940s, Clyde worked closely with the key people who shaped the rebirth of evangelical Christianity – including, to mention only a few, a close friendship with and early publication of material by Carl F. H. Henry; an early tract publishing partnership with Billy Graham; as well as founding the innovative Christian Life and Times magazine, and early ministry partnerships with YFC, Christian Businessmen’s Committee, and Christian Booksellers Association. Most recently, publishing partnerships have expanded to include the adoption of the ESV Bible by the Gideons for distribution throughout the world, and the translation of the ESV Study Bible notes into Chinese for publication of the Chinese Study Bible throughout Mainland China, with the approval of the Chinese government. 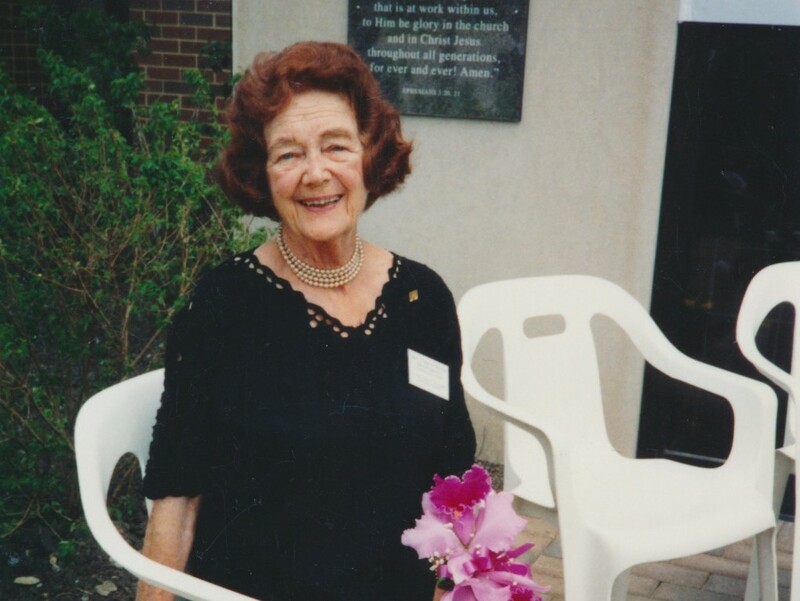 In addition to this, the commitment of Ebeth’s family to ministry – including four generations of missionaries to India, and a pastoral legacy tracing back to the 1500s – is foundational to the Crossway mission and calling, with her passion to reach the world with the gospel and the truth of God’s Word. We often reflect on the massive reality of the gospel – planned in eternity past in the gracious, merciful counsels of our triune God, to be consummated in eternity future in the glorious presence of our Savior. But the gospel is an equally significant reality for life today, applying to every area of life. Apart from the salvation that God has provided through faith in Christ – in his death and resurrection and return; in the imputation of his righteousness for our sins – we would be utterly destitute, lost, and condemned. The gospel is the only hope for the world, both today and for all eternity. Looking to the future, our sense is that ECPA has a crucial role to play in serving the body of Christ in our common calling to reach the world with this comprehensive understanding of the gospel and the application God’s Word to all of life. As the name “Evangelical Christian Publishers Association” indicates, the “evangel” (that is, the gospel) is indeed foundational to the unique calling of ECPA. Given the pervasive moral and spiritual degeneracy of our culture, the leadership of ECPA is especially crucial today in three areas: first, in affirming the Bible as God’s inerrant, authoritative, sufficient Word for all of life; second, in taking a clear, biblical stand over against the pressure to dilute the moral and theological truths of the Bible; and third, to provide leadership and insight into the complex and challenging technological environment of publishing today. We (Lane and Ebeth) are indeed grateful to God for the way in which ECPA has faithfully fulfilled this calling in the past. And we look forward, in partnership with one another in the gospel, to carrying forward this calling to the next generation. 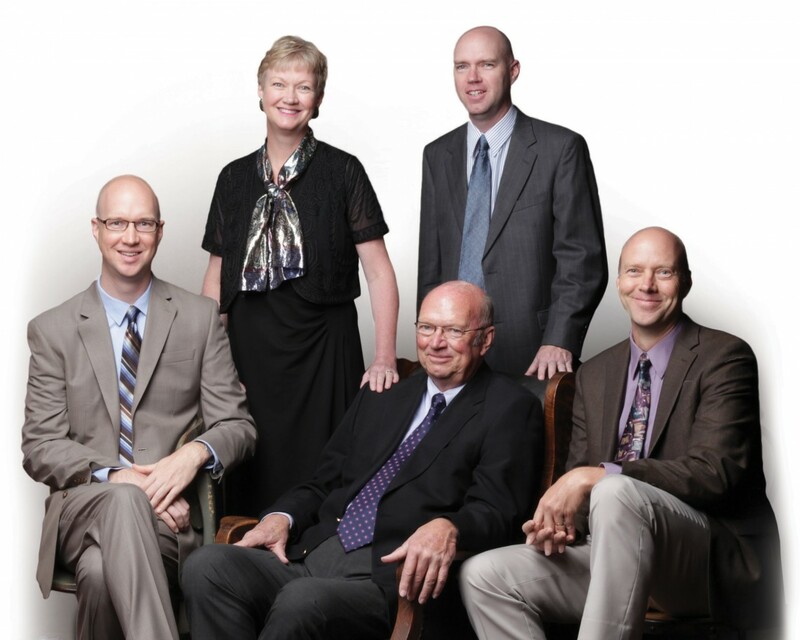 Lane T. Dennis, PhD, is President and CEO of Crossway and a former Chair of ECPA. Ebeth Dennis is Sr. Vice President for Crossway’s Publishing Ministry. Bob Kregel was involved in the Christian book industry his entire career, taking over the family business in 1939 at age 20 following the early death of his father, Louis Kregel. Louis had come to the US from the Netherlands in 1909 at age 19 and began the business of selling Dutch theological books door-to-door in Grand Rapids, Michigan. 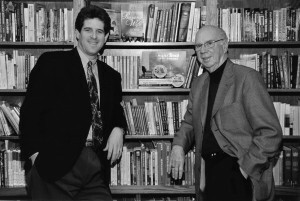 Bob then expanded the family retailing business in 1949 to include publishing with the release of George William’s The Student’s Commentary on the Holy Scriptures, which is still in print and demand today. His heart for pastors’ resources and his focus on reprints of classic works marked the early history of Kregel Publications. While the publishing emphasis today has significantly expanded to include present day authors sharing their wisdom and insights through both the printed and electronic page, the strong foundation and reputation that Bob built in the industry continues to this day. 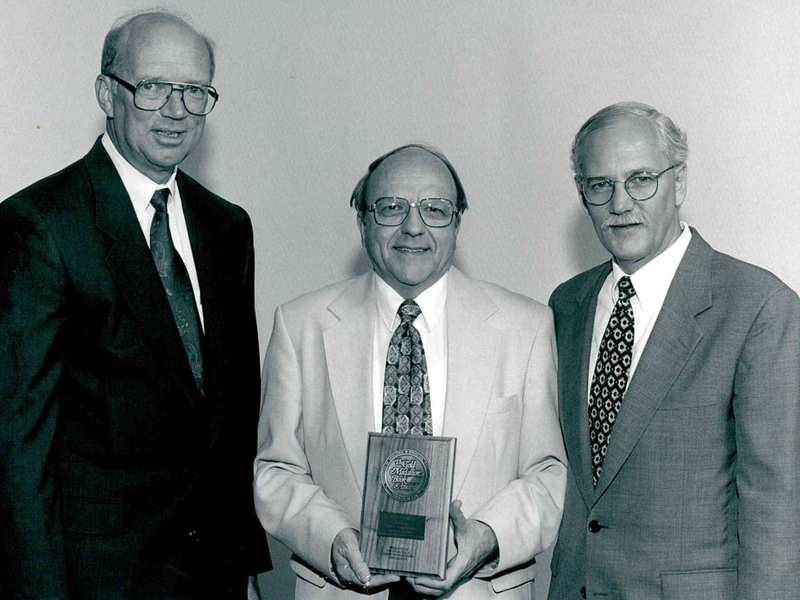 Throughout his career, Bob Kregel’s influence was far-reaching as he selflessly served in capacities as President of the Christian Booksellers Association and founding board member of the Evangelical Christian Publishers Association. 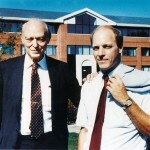 He was also recognized in 1983 by the Grand Rapids Chamber of Commerce as the Small Business Person of the Year. 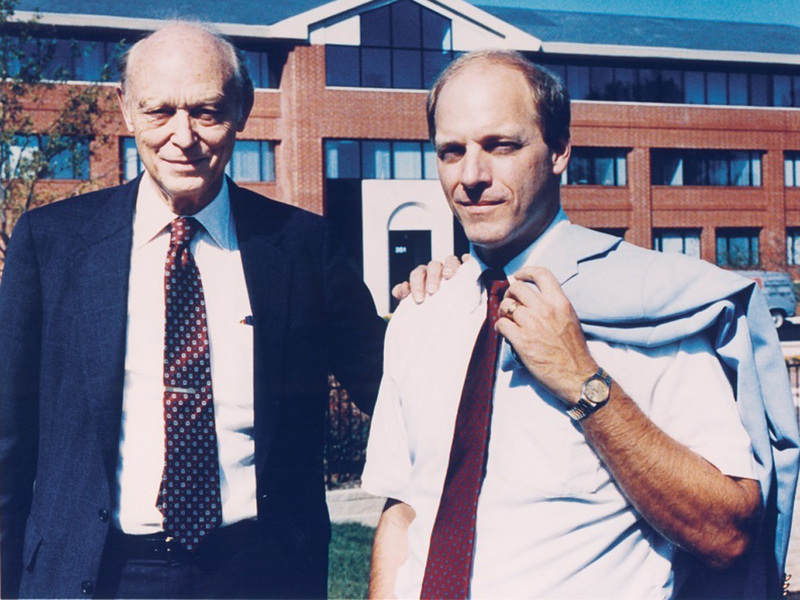 Two of Bob’s brothers, Harold Kregel and Ken Kregel, both now deceased, also played a significant part in the company’s history and contribution to the Christian book industry. Harold Kregel started and for many years managed Editorial Portavoz, the Spanish division of Kregel, Inc., while Ken Kregel oversaw the operation of Kregel Used Books throughout his entire career. As President of the company for the past 25 years since my father’s retirement, along with my cousin Jerry Kregel, who serves as Executive Vice President of Publishing, it is a privilege and honor to uphold the family name and continue the cherished legacy that Bob established during his years of faithful ministry.